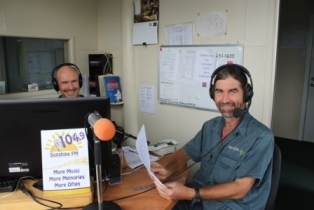 to The Saturday Morning Gardening Show in 2019.
practical tips on gardening for the Sunshine Coast region. and listen to Glen discussing all things gardening. PODCAST Missed the Saturday Morning Gardening Show? Don’t fret, you can now catch up via podcast! Got a gardening problem, or a problem area in the garden? and Glen will answer your question while on air.